An essential item for every rugby kit bag, keep your teeth where they belong with the Shock Doctor Gel Max Rugby Mouth Guard. For a tight and comfortable fit, the Gel-Fit Liner custom moulds to your teeth whilst the triple-layer design with an integrated breathing channel, creates maximum comfort and protection. 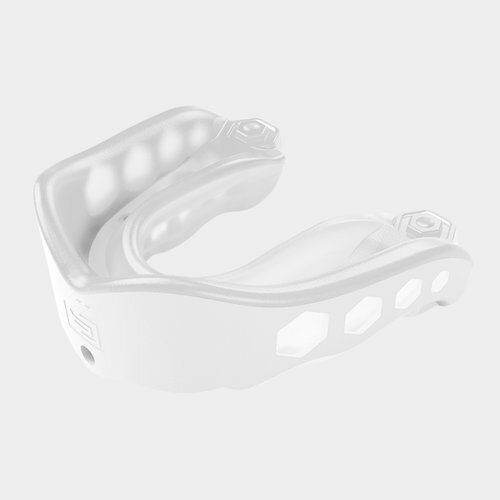 As part of the structure of this mouth guard, the Exoskeletal Shock Frame is a heavy-duty rubber shock frame with integrated jaw pads to provide maximum protection and minimise impact transfer. 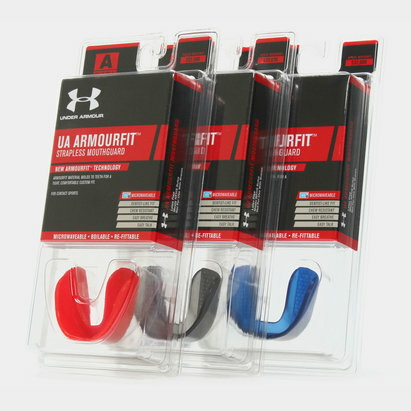 A fresh white and clear design is joined by a see-through case to help look after your mouth guard and have it game ready. 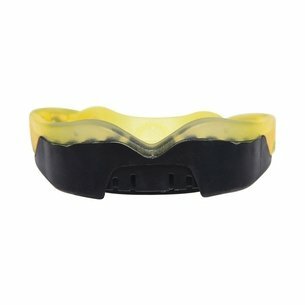 Please be aware that this mouth guard is designed for adults (age 11+) and not for use with braces.